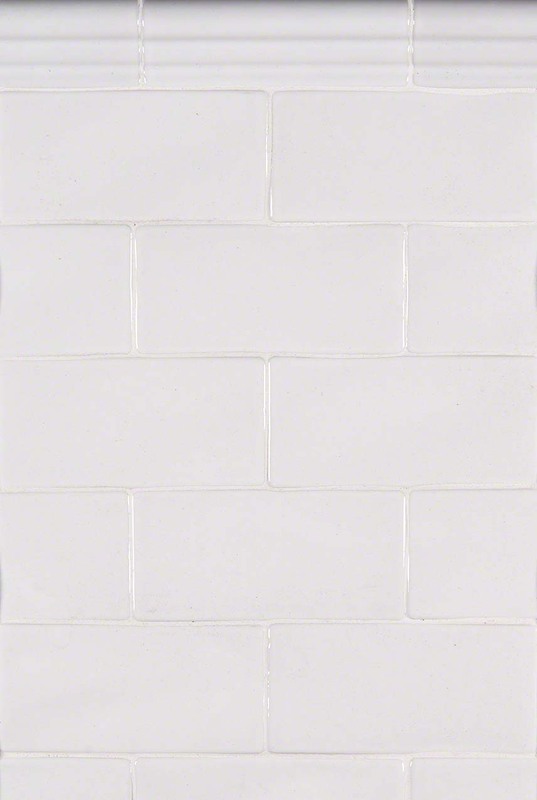 Subtle, yet rich with timeless character, our Whisper White Backsplash Duo combines subway tiles and tile crown molding beautifully. Here, the handcrafted finish of these backsplash kitchen tiles becomes the star of any tile backsplash, kitchen or bath. White kitchens and bathrooms are always in style and this backsplash design complements styles from traditional to contemporary.